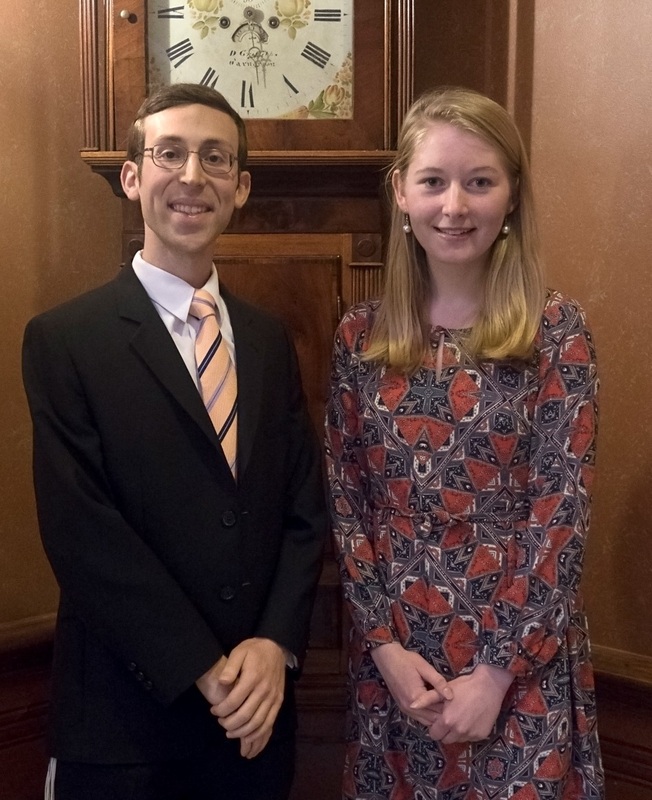 The winners of the 2017 Elmer Adler Undergraduate Book Collecting Prize were announced at the Friends of the Princeton University Library’s dinner that took place on Sunday April 30th. The jury awarded first, second, third prize, and honorable mention. First prize was awarded to Matthew Kritz, class of 2018, for his essay, “Books Unforgotten: Finding the Lost Volumes of My Tradition.” Matthew discusses what he describes as his “textual crusade” to collect books on subjects of Jewish interest. Specifically, he explains how he has applied the Jewish law of met mitzvah to locate and care for rare and oft-forgotten religious texts and other works of the Jewish canon. Matthew received a prize of $2000, and the book Skies of Parchment, Seas of Ink: Jewish Illuminated Manuscripts, edited by Marc Michael Epstein. Matthew’s essay will represent Princeton in the National Collegiate Book Collecting Competition, which is sponsored by the Antiquarian Booksellers’ Association of America. Second Prize was awarded to Nandita Rao, class of 2017, for her essay “Of Relationships: Recording Ties through My LP Collection.” Nandita discusses how her eclectic album collection has been a source of relationship building, and how her “vinyl teachers” have fostered a love of music and her desire to pursue a graduate degree in this area. Nandita received a prize of $1500, and a copy of the book, Shaping Jazz: Cities, Labels, and the Global Emergence of an Art Form by Damon J. Phillips. Third prize was awarded to Katherine McClain Fleming, class of 2019, for her essay, “Paperback Princess,” in which she discusses her collection that centers on women authors and strong female characters, particularly those who reside within the British literary tradition. She explains how much these women have had an impact on her own development, noting that “They serve as my frames of reference for looking at the world, but more fundamentally, they have built, and continue to build, me.” Katherine received a prize of $1,000, and Elaine Showalter’s book, A Literature of Their Own: British Women Novelists from Bronte to Lessing. Honorable mention was awarded to Kyle Lang, class of 2019, for his essay, “Runner’s High: A Collection of Books about Running.” Kyle discusses how his collection has helped inform, inspire, and sustain his passion for long-distance running, which most recently has included a heightened sense of awareness of “the transcendence of running beyond a personal level.” Kyle received a prize of $500, and Alan Gewirth’s book, Self-Fulfillment. The book prizes, chosen to complement each student’s collecting focus, were donated by the Princeton University Press. Each of the winners will also receive a certificate from the Dean of the College. Thanks to this year’s judges for their congenial service: Claire Jacobus, member of the Friends; John Logan, Literature Bibliographer; Eric White, Rare Books Curator; Kent Cao, Department of Art and Archaeology PhD candidate and member of the Student Friends; and Minjie Chen, East Asian Project Cataloger for Cotsen Children’s Library. This entry was posted in Adler Book Collecting Competition on May 9, 2017 by Julie Mellby.